Eating has always been a big part of celebrating, and everyone seems to bring out a signature dish for the holidays. Parties focus on food, and there are always special treats at the office. As a result, many people gain weight during the holiday season. You can stop the weight from creeping up on you. It just takes some planning and engaging your brain. 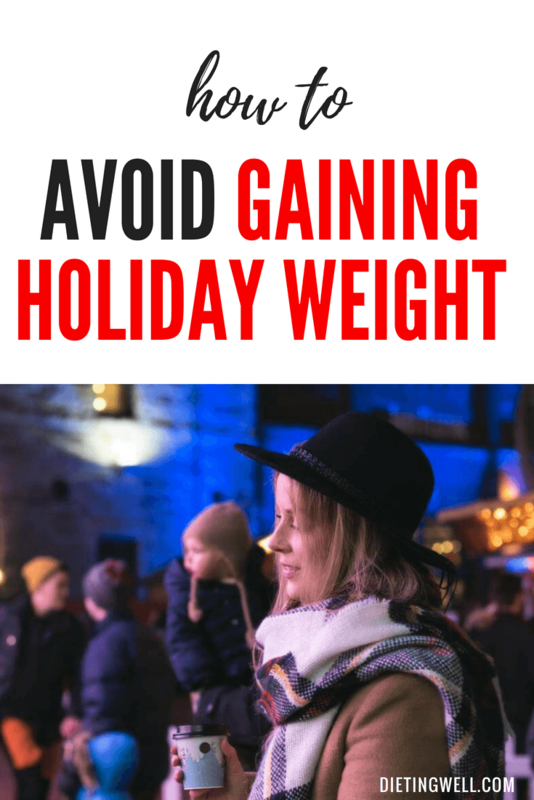 Here are 20 strategies to keep from gaining weight this holiday season. It’s always easier to meet a challenge when you have a partner cheering you on. Try to identify a friend who is also planning to battle holiday weight gain, and make your plans together. Call each other for moral support and to share your success. If you can’t find a partner in weight maintenance, ask someone to be your supporter. Give that person a list of your goals and strategies, and ask them to check in occasionally to ask how you’re doing. You need to eat breakfast, and you need to include protein. Eating breakfast will kick your metabolism into gear and will help you fight the urge to reach for a treat mid-morning. Include protein like lean meats, eggs or even some cheese in your morning meal. It will increase your energy and your sense of being full. Morning is the ideal time for a work-out during the holiday season. Starting your day with exercise gives you an energy boost and a sense of confidence. It also helps you avoid skipping workouts because you are tired after a long day or have too much to do. Create a plan for handling stress. The holidays can be a stressful time, and plenty of overeating is a result of anxiety. You know you’re going to have some stressful moments, so make a plan before it happens. This will keep you from reaching for comfort food to calm yourself. A stress plan can include meditation, going for a walk, yoga or other activity that makes you feel calm. You probably have an overwhelming number of holiday tasks to accomplish, but don’t sacrifice your sleep. People who are sleep deprived eat more, eat unhealthier foods and have a harder time handling stress. A good sleep schedule sets you up for success. Load up on vegetables you love, and make it a habit to reach for them when you want a snack. Alcohol plays a big part in many holiday celebrations. Instead of saying yes to every drink you are offered, make a conscious decision about when you are going to indulge. You might decide to have two glasses of wine at your best friend’s dinner party or one cocktail at the office holiday gathering. Stick to your plan. When you are confident about the way you look, you’ll be less likely to overindulge. Choose an outfit you love, and take time to do your hair. You’ll feel better and want to eat less. Look for opportunities for physical activity. Find ways to move during the holiday season. This may mean parking further away from stores or taking the stairs instead of the elevator to your appointments. Encourage your family to go for walks together instead of spending time in front of the television. Little bits of activity can be significant. Don’t show up starving to holiday celebrations. Eat something light and healthy, like a salad, before you go. This keeps you feeling full and stops your brain from obsessing about something fattening. When you’re asked to bring a dish to a holiday gathering, opt for a vegetable or something healthy. That way you know there will be something healthy that you will like, and you’ll encourage others to make better food choices. If you have a group of health-conscious friends, you can even plan a get-together with healthy foods only. Appetizers are a diet destroyer. They are usually small, so it’s easy to lose track of how many you’ve had. Also, they are often deep fried or contain ingredients high in fat. If you must have an appetizer choose wisely. For example, shrimp cocktail packs a lot of protein in relation to calories consumed. You can also munch on mixed nuts. Keep in mind what a portion of food should look like, and take only that amount. A serving of meat is about the same size as a deck of playing cards, and sides are often measured in half cups. Eat from a smaller plate. Choose the smallest plate you are offered, especially at a buffet. That way you’ll avoid piling on the food. Keep yourself hydrated with plenty of water. Jazz it up with a lemon or lime, or choose sparkling water as a tasty alternative. Drinking water will keep you from indulging in other, high-calorie beverages. Pay attention to your food choices and ask yourself if you really want to eat that particular dish. If you’re just taking food because it’s there, check yourself. Find healthy options that you like. You don’t have to feel like you’re denying yourself just because you’re making healthy choices. If you love your aunt’s macaroni and cheese or your grandmother’s chocolate cake, have a little. 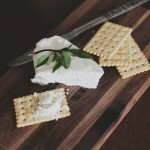 Just limit these indulgences to foods that you truly crave. Make positive statements to yourself. Most people talk constantly to themselves in their heads, and unfortunately, a lot of that self-talk is negative. Turn your mental messages around by telling yourself that you’re proud of the choices you’re making and that you know you can make a difference in your body and your health. Don’t hang out near the food. If you find yourself standing over the snack tray or having a conversation in the kitchen where food is plentiful, move to a different room. It’s very easy to overeat when food is right in front of you. Don’t keep leftovers from your holiday gatherings. Instead, fill disposable containers for your guests to take home. If you do find yourself with lots of leftover food, divide it into portions and pack it away in the freezer for another time. It’s very easy to gain weight during the holidays. These 20 strategies can help you avoid packing on the holiday pounds.